Developed and published for the arcades by Lee Actor, Martin French, Bil Maher, Gary Levenberg, Richard Green and Ed Rotberg. Ported by Bally Sente to the Atari 7800 in 1987, and converted by Capcom USA for the Commodore 64 and DOS. Another one of my favourite games of all time, even though I don't particularly enjoy ice hockey... or perhaps it is so for that exact reason. 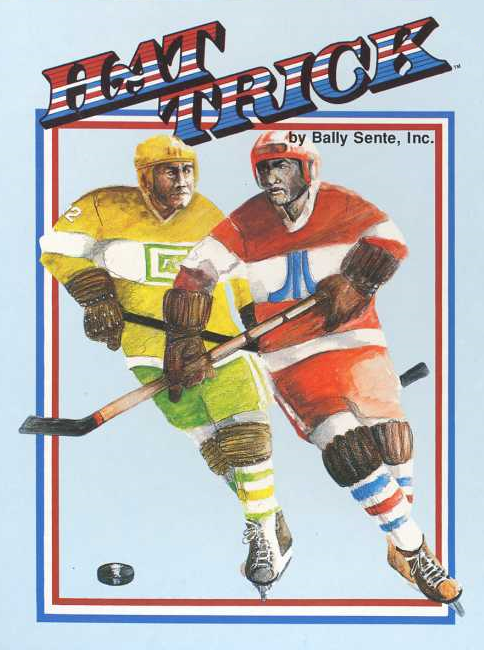 It's not really ice hockey - it plays sort of like Pong, but not nearly enough to call it a clone. 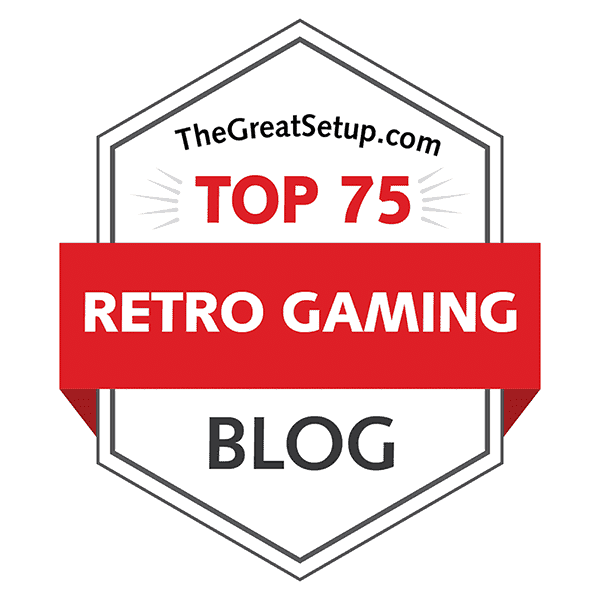 Anyway, it seems a bit too underrated in my mind on every retro gaming website I go to, so I'll give this one a free advertisement space here. Also, it's a relatively quick one to compare. The original arcade version can easily be found and played on MAME, but I've never seen the actual cabinet, except in pictures on the internet. At MAMEdb.com, it has a rating of 8.73 from 15 votes, so it's not too bad, but not really that well known. It's a bit harder to find ratings for the Atari 7800, since Atarimania doesn't have games for the machine yet, but I found a review at The Atari Times, which gave it an overall 72%. Not too shabby either, but clearly less than brilliant. Lemon64 voters have given it an 8.1 with 60 votes, and the editor at Abandonia gave the DOS version a 4.0 out of 5, while their 532 visitors have given it a score of 3.1. So, what is it about it then, that makes people not too fond of it? Sport games are a difficult area, because a lot of gamers who play sport games are mostly the type who don't necessarily play much else. Even then, their requirements of realism are usually close to being obsessive, and still rarely get what they want. I always say, if you want realism, just go and do it out in the reality if you so wish. I'm a retro gamer, because mostly, I have no wish for reality to enter my gaming experience. Hat Trick is one of the few sport games I can still play with as much excitement as I did over 20 years ago, because it's just simple and complicated enough to make you learn to play it within 2 minutes, and master it in a few months. Although it first feels like an overhauled Pong game, there's certainly a good amount of hockey involved. The game is playable against computer or against another human player. 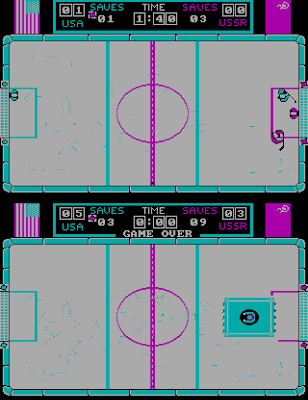 You can choose to play either as the blue (left) player or the red (right) player, no countries are mentioned. In the ice rink, there's only one player on the field and the goal keeper, both of which you must control simultaneously, wherein lies the whole soul of the game. 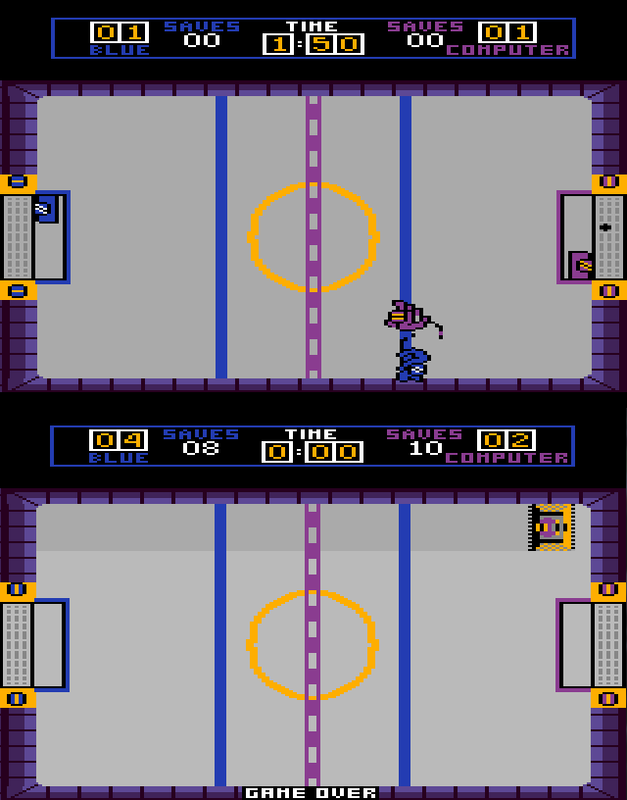 At first, it looks like you can't really pull any sort of tricks without other players on the field, and even the goals are solidly bolted into the end walls, so you can't skate around them, but little by little, you'll start noticing some tricks that can take advantage of the goalie's speed and other players' style of playing etc. The biggest advantage of having no artificial intelligence to back you up could also be your biggest disadvantage, but then again, it's all up to you, how good is your game. That's why Hat Trick is such a good game - everything that's possible to leave in the player's hands, is. And, I suppose, that's probably one of the reasons why not so many people enjoy it, as well. The original arcade version is available to play on MAME, but whether that's an accurate way to measure the loading time or not, is not for me to say. On MAME, though, it takes about 10 seconds to load up after the initial OK'ings. Since there is no original disk image of the C64 version on the internet, and it's also next to impossible to find on eBay or elsewhere for sale, I can't say for sure what the loading time is, but judging by the cracked full disk image, it's somewhere around 3 minutes. But no one uses an original disk, if a faster loading crack is available, isn't that right? The other two versions are pretty much instantaneous, although the DOS version needs the PC to boot up first, so at least we get a semi-clear order here. The two versions released by Capcom USA have some loading screens, which don't really have much going on, but here's the C64 loader pics, just in case you're wondering. Well, here's a pretty close order of loading speeds, but I must say, having a fast loader cartridge and a sufficiently modern peripheral to load games from an SD card on the C64, for example the SD2IEC, makes loading the game on C64 just as quick as loading up the DOS version, if not faster. Explaining the rules and mechanics is pretty straightforward, unlike in games simulating real ice hockey. In the original Hat Trick, you have 1 minute and 45 seconds to score more goals than your opponent. If this ends in a tie, you'll go overtime for 20 seconds, and that's all you've got. The puck is sent on the ice from either above or below when the game starts and every second counts on your intuition. Your only weapon is your skill at aiming the hockey stick. You can't pick a fight with the opponent, pass the puck to anyone other than the opponent, you can't get a fault for icing, and there are not even penalty shots or anything like that. Most of the rules of regular ice hockey are out. If you catch the puck, you can only catch it by fair play, and if you score a goal, you score a goal. There's no exceptions. The only thing that has something to do with "advanced" rules is the overtime rule: when the game is tied after the normal game time is over, you play overtime for a while until either the time runs out of either of you scores a goal and wins. For some reason, though, the game keeps count of your saves, which don't have any effect on anything whatsoever, but it does make you follow your own development as a Hat Trick player. Hat Trick's physics modeling is pretty good - may not be perfectly realistic, but you can't really expect it from a game of this age. At least the skaters' inertia on ice is pretty remarkable. The one thing that makes this game such a good challenge is the fact that your goalie moves at the same time as your field player, although he can only move up and down. The goalkeeper's movement is superbly fast, like he was controlled by a frantic 5-year old playing a Stiga table hockey, so he's already at the other end of his area when you've just pressed the joystick to go the other way. Since the ATARI 7800 was the first one to get a port, let's take a look at its differences first. The first one appears already in the title screen, or menu, however you prefer to look at it: you can choose the difficulty level of your CPU opponent - novice or expert. I couldn't notice much difference in them, really - the CPU goalie in both levels is an imbecile, but perhaps the field player acts slightly more energetically in the expert mode. Then, I'm not completely sure about this one, but it seemed to me that the puck would always come out from below the screen, instead of changing it randomly, as it does in the arcade. The timer is now set to 2 minutes, and if you go on overtime, you'll get 20 seconds more. Finally, the skating inertia isn't all too bad, really, but it tends to get unnoticed behind the horribly choppy animation, which makes the playing experience really uncomfortable. And no, it's not just the emulated version, it's awful also on the real Atari 7800.
sometimes the puck just passes right through them. So, even if you can get the game to play at a proper speed and with a reasonably good controller, you're still stuck with a badly programmed mess that even beats the Atari version in its badness. So, the last man standing against the arcade original is the C64 version, which, happily, is also the easiest of the bunch to get working on a modern PC. For starters, you get one more option for CPU opponent's difficulty level, not that they have much of difference this time either, although I can't say for sure - they're all too easy for anyone who's played this game enough. You can also turn off the sounds from the start menu, but who'd want that? Then, if you're playing a single player game, you get to choose sides, just as in the original. The animation and graphics are excellent for a C64 arcade conversion, so there's no choppiness making the playing awkward like it did on the Atari. Since there's no keyboard controls, except in emulation (which works very nicely), the joystick/pad controls work exactly the way you'd expect them to... except that the goalie is slower than in the arcade, but then again it makes him more controllable. (Note that the goalie also is slower than the arcade in all the other versions as well, but less noticable because the gameplay is worse.) Oh, and the timer is set to 3 minutes here as well, with 30 seconds for overtime. Something really weird must be mentioned from the C64 two-player mode - the bugs. There's a heap of them, really. Sure, there's some noticable bugs in the one-player mode as well, but when you play against a friend, the bugs seem to come alive and bring their friends too to make a party of it. 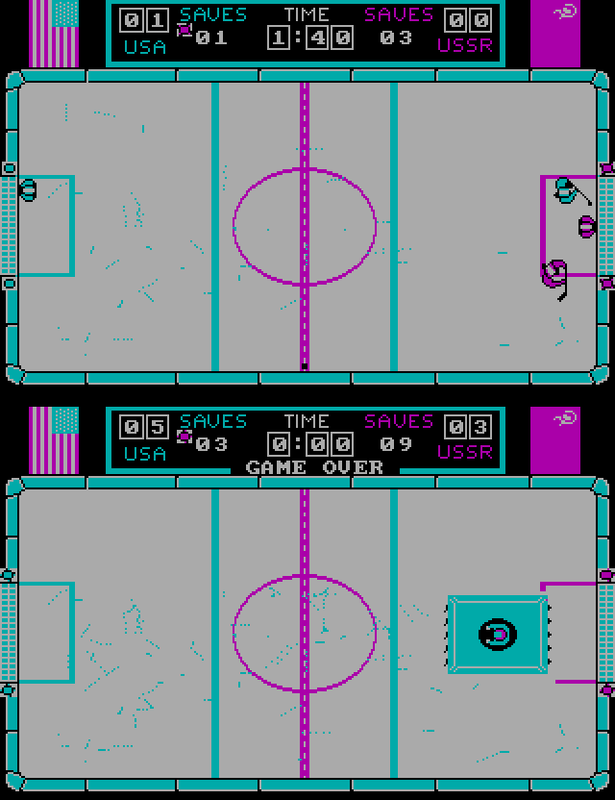 Usually, it's only a glitch in the score boards or weirdness in the goal scoring sound effects, but sometimes you'll get teleporting pucks when you push the fire button at a certain time or at a certain part of the ice rink or whatever, resulting in complete bafflement for two seconds and your opponent most likely scoring a goal due to the glitch. You can learn to use the bugs to your advantage, though, and anticipate when they're about to happen, but that requires months and months of playing. I'm not sure if these bugs are present in all the crack scene releases of C64 Hat Trick. I haven't gotten around to playing the DOS and Atari versions in two-player mode, but I can't imagine them being all that much better, although Hat Trick definitely shines more as a two-player game. It's really the awkward controls in DOS and choppy animation in Atari that really makes them bad. This is a tricky situation, really, because I happen to love the bug-ridden C64 version, because it plays pretty much the same as the arcade original, but it's somehow more fun, at least to me, precisely because of the bugs. Then again, if you prefer your games to be as non-bugged as possible and as high quality in every way, you can't even really accept anything but the arcade version. I've tried to introduce a few of my friends who love the C64 version to the original through MAME, but all I'm getting from them is "it feels wrong" and "it's not as fun", so I'm not alone in this. Since they're different enough, but both very playable, I can't make a proper decision, so I'll give them both the 1st place. It's a simple enough setup, so the graphics need not be all that high quality, as long as all the elements represent their living counterparts as truthfully as necessary, and it's animated well enough to be playable. You have a small ice hockey rink, two goals, two players for each side to look like a field player and a goal keeper. And of course the puck. But because of the decreased set of on-field players and thus the set of rules, the playing field only looks something remotely like a real hockey rink. You know what it is, but you know it really isn't it either, and since there's not that much rules, you shouldn't really worry about any of that stuff. Title screens, left to right: Arcade, Atari 7800, DOS, Commodore 64. Before we get to the game itself, let's take a look at the title screen. The game title is very stylishly presented in American colours, with the red-white-blue theme in an interesting pattern in the text. None of the conversions quite get it to look the same, but the C64 version is the least unpleasing to look at. But it has a lot to do with the background colour as well. The original has a cyan background with a comfortable setting of other colours in the smaller text bits on the screen - black, white, red, blue. That sort of thing. Well, the Atari has a light blue background with the game title logo in dark blue, purple and white. All the small text is either dark blue or yellow. Can't say it's exactly comfortable to read. The DOS version was released on the CGA graphics system, so it's 4 colours only - black, white, magenta and cyan, with black being the background this time. It's more comfortable to read than the Atari version, but the title logo looks kinda half-made. The C64 title screen has a turqoise background, which is softer and nicer to look at than a cyan one. The title logo looks almost like the original, except there's two lines of red and white misplaced, and there's a weird line crossing from R to I in "TRICK". All the other text is in white, which is a good a clear choice (except when you choose sides in one-player mode, it's red and blue, but it's nice too). All the versions show the player sprites to have the same amount of animation, but the Atari version plays in a horribly choppy way, so that's already a big minus for the Atari. What about the colours, then? 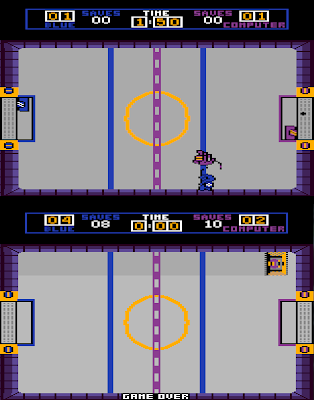 The original has it red team vs. blue team (also with different helmet colours), and the rink edges are blue and a few shades of purple. In details, there's at least the score bell and skating marks to consider, plus the orange Zamboni thingy riding over the ice, resurfacing the place up. Well, the Atari has it blue vs. purple, with these two colours being the two dominant colours of the whole game, and the graphics are somewhat more blocky than what you'd expect from an A7800 game. This version also has the dubious honour of not having the skating marks properly presented - you'll see the ice getting more used by its turning another shade of grey. And one another minor thing, the missing score bell. At least the Zamboni machine is there, but even that has some unnecessary purple on it. It has been said many times, and I'll say it again: I expected something a lot better from this one. 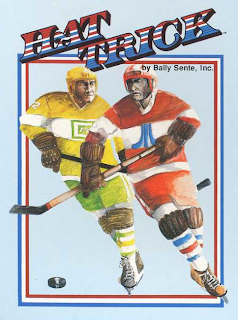 The DOS version doesn't really fare much better, because it's cyan vs. magenta - and they even went and named the teams USA and USSR, probably because they couldn't call them RED and BLUE anymore. But I can't imagine this game should have had anything to do with politics at the time. At least you get the score bell and skating marks here. The Zamboni, though, is a huge cyan thing that takes up a whopping third of the width of the ice rink. It's ugly, but at least it's done more quickly. Still, if you don't count the colours, it's the closest to what you would get to the arcade original in any home conversion, in balanced looks. I can't honestly say that the C64 version would win any beauty contests, but it works very nicely for what it needs to be. Apart from the colours being a bit wrong on the DOS version, it looks better, but the C64 version has more of the right colours, and the menu screen does look the best of the three home conversions. At least the player sprites and the (blue!) Zamboni are very much hi-res sprites, all made in a rather monochromey fashion with lighter and darker shades of the same colours. But you do get the skating marks, unlike in the Atari version, so it's a big step closer to the original. It's another tough decision, but I guess I'll have to give another tied place here. After dropping the coin, the game starts blasting a short hockeyish theme tune when it's time to choose your side. The other hockeyish theme tune is played when the game is over and the Zamboni starts resurfacing the ice. The amount of sound effects, though, are not much short of staggering, but then again, in the arcade machines, you didn't have such limitations as you did in the home machines. There's a constant blare of simulated hockey fanatics cheering for you or your team, and occasionally booing, if one of you is winning by three or more goals, or something unusually violent happens. Hockey stick swished and slaps are there, the goal score bell rings, collisions and whatnot... even something very much like a vuvuzela is heard. So, how do the home conversions fare? It's clear that none of them will get even near the original in volume and amount, even though there's 3 years of age difference. The thing is, can they manage on their own? The DOS version is just rubbish. You only get a few bips and bops, and a couple of different buzzes, and that's it. No music, no specific rings or crashes or anything. Just bad noises. It's not as if people hadn't gotten more out of the PC speakers, this is just pure laziness. ATARI's take on the sounds is closer to the original in the general idea, but the execution is a bit off. You do get the skating noises, slaps of the hockey sticks shooting the puck, players colliding into each other and into walls, scoring goals, goalie saving, crowd whistling and there's even that annoyingly familiar and repetitive hockey arpeggio played every 3 seconds, and I hate that. I even hate that when it's played in a real game, but here it's just a bad joke, because it's slightly out of tune. Having said that, when the game is over and that resurfacing machine comes in, you'll get to hear a completely unexpected tune, which is a horribly out-of-tune, badly programmed version of a portion of "Turkey in the Straw". I really don't know what to think of this version, but currently, I'm not very fond of it. Because I grew up with the C64 version of Hat Trick, my mind created its own space for this game. Usually, you'd hear a bunch of crowd noises and the sort of stuff that's been mentioned so far in a sports game simulating a real sports event. Since Hat Trick isn't really a real sports event, I always assumed it might as well have been a practice session with only four players on the field. No audience, no rules, no nonsense - just their own space and some frantic two-on-two hockey action. And I liked it that way - it made the game special in a completely different way. Then, when I got to play the arcade version for the first time, I was baffled that it was actually supposed to be this, sort of, real mini event. Even the C64 title theme song isn't epic enough to be played in a real event - it's just practice music, but really good one at that, and it's one of my favourite sports game tunes ever. It does have one fairly TV theme tuney element to it - it's exactly one minute long. All the other sounds are made in relative quietness, and consist of collisions, shooting the puck and goalie's savings. When you score a goal, the game plays this "bup-bup-bup" thing which, for some reason, very rarely has managed to get on my nerves. If you're playing a rough match against a friend, it takes exactly the amount of time that you need to flaunt your goal before you start fighting for the next point, and no audience noises or obscenely long full-motion videos will lure your attention elsewhere. Then, when your game is over, the Zamboni comes in, and peacefully, almost hypnotically, cleans up the ice for the next game without making too much noise - it's just there to do its job. It would be remiss of me to not play by my rules and try to be as unbiased as possible, but I just noticed while writing this, that the soundtrack is what makes the C64 version a completely different game from the others. Thus, I have to give it another deep thought as to where to place it in the midst of three other similar games. See, because the arcade is the original, I have to judge the ported versions by that. But if a conversion has something entirely unique going on for it, it can't be judged on the same scale. So, I can only put it on #1 spot, tied with the arcade original. So why do I not judge the DOS version by the same credentials? Because it's utterly rubbish, that's why. This got me wondering, why on earth didn't Capcom USA make the conversion for Atari 800 as well? And why were the other two main 8-bit computers completely left without a conversion? If this game was thought of as out-dated in 1987, based on the idea that it was too much like an over-glorified version of Pong, then clearly, they underestimated the power of Pong. It's still one of the first and greatest two-player games, never to have been successfully emulated on modern machines. Hat Trick made the idea still commercially viable, because ice hockey has never been out of style for the same reasons football never has, and I doubt ever will. 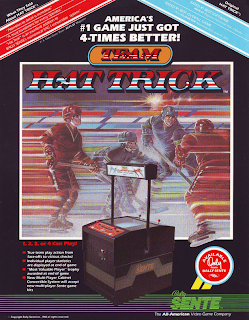 Hat Trick was supposed to have a sequel - a four-player version of the same game, to be played using a four-joystick adaptor. This never came to exist, but maybe it's just for the best. We have enough of that these days as it is, in form of Sega's ESPN series and EA Sports' NHL series, and they do the job with respectable success. I can't imagine a game like Team Hat Trick being played much in today's gaming world, but using those modern 4-player joystick adapters from Protovision or Sinchai or whatever, and getting Hockey Mania might be the closest you can get to experiencing that idea. If you were to take at least some advice from this blog, let it be this: don't bother trying the DOS and Atari versions of this game, it's just not worth your time. Nor mine, really. So, excuse me, while I'll go shoot myself it the foot. Thanks for the excellent review. I can confirm that all c64 versions has the bugs, including the original game.